Offered for practical use in production the new method of statiс-pulse hardening of hard loaded surfaces has a number of essential advantages in comparison with applied now. Distinctive feature of a method is the combination of static and dynamic processes of processing as a result of which necessary qualities of a blanket of a processed detail, and as necessary hardness and residual tension of compression are provided. This way of hardening is one of more effective, energy saving and easily realized in production. Static-pulsed hardening increases the number of controlled design, tuning, and technological factors that affect the result of hardening. As a result, the static-pulse processing provides reduced surface roughness, increased wear resistance and hardness of the surface layer by increasing the depth of hardening and changes in the microstructure of the metal. For the static-pulsed hardening is characterized by high performance and low cost compared with heat treatment and explosion. Keywords: static-pulse treatment, hardening the surface, quality characteristics of the surface layer, reliability, durability. Balter M.A. Hardening of parts of machinery. – M.: Mashinostroenie, 1974. – 136 p.
Kirichek A.V., Kokoreva O.G., Lazutkin A.G., Soloviev D.L. Static-pulse treatment and equipment for its implementation // STIN. 1999, № 6. – P. 20-24. Kirichek A.V., Soloviev D.L. Ways of strengthening the dynamic surface plastic deformation // Forging and stamping production, 2001, № 7. – P. 28-32. Smelyansky V.M. Mechanical hardening of surface plastic deformation. – M.: Mashinostroenie, 2002. – 300 p.
Lazutkin A.G., Kokoreva O.G. Strengthening and shaping surfaces static-pulse processing // Precision technology and transport systems: Proceedings of the International scientific and engineering Conference – Penza, 1998. Part 2. – P. 124-126. Lazutkin A.G. Appointment of technological regimes static-pulse treatment // Designing technological machines, Vol. 12. – M: Moscow State Technical University «Stankin», 1998. – P. 85-88. Kokoreva O.G. Technological opportunities static-pulse processing // Engineering technique, 2011, № 2. – P. 12-15. Kokoreva O.G. Results investigations of heavy-duty surfaces, hardened static-pulse method // Bulletin of mechanical engineering, 2010, № 3. Kirichek A.V., Soloviev D.L. Lazutkin A.G. Technology and equipment to static-width surface treatment of plastic deformation. – M.: Mashinostroenie, 2004. Kokoreva O.G. 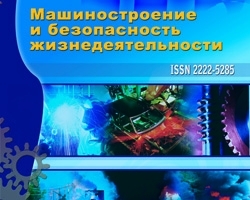 Production tests hardening core crosses switches static-pulse method // Second Conference of Young Scientists and Specialists «The Future Engineering of Russia». – M.: MGTU Bauman, 2009.